George Williamson was appointed principal of North High School in 1955 after the untimely death of Jack M. Hill. He started his teaching career at Lompoc High School in 1932 where he also served as the head football coach. He was hired by Kern County High School in 1934 where he coached on the staffs of the football, basketball, baseball and golf teams. After many successful years in the classroom and on the field he was appointed athletic director and eventually director of counseling. As a youth, Williamson attended Kern County High School from 1917 to 1920. He lettered in football, baseball and track all four years. In 1920, he was part of the state football championship team. Williamson still holds the state record for kicking 60 consecutive extra points by a kicker. After graduating from high school, he attended the University of Southern California from 1926 to 1930. While at USC, Williamson lettered in baseball all four years where he excelled as a right handed pitcher. After graduating, he was drafted by the Detroit Tigers where he played in the minor league system for two years until an arm injury ended his career. Williamson eventually went back to USC and earned his Master of Education degree in 1946. Williamson was a 40 year resident of Oildale living less than one mile from North High School. Although he worked for Kern County High School, he watched North High built from the ground up in the 1950’s and felt his destiny was to be a “Star”. His dream became reality in 1955 when he was appointed principal of North High School. His interests and experience in both academics and athletics made him a perfect fit for the job. Being a new school in the district required a lot of hard work to establish North High as one of the prominent schools in the area. Working off the foundation set by Jack Hill, Williamson dedicated himself to that end, diligently establishing North High as a premier high school where the students excelled in academics, athletics and extra-curricular activities. North High School became a focal point of the Oildale community under Williamson’s leadership. 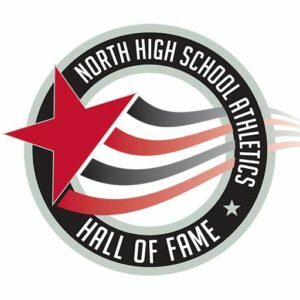 Under his direction, North High School became firmly entrenched as a place that all students, teachers, staff members and the residents living North of the River could be proud. Williamson retired in 1965 after a decade of selfless service to North High School. He always expressed his pride in the school and was ever grateful for the support he received from those he worked with and the entire North of the River Community.